ACTIVE Cheshire supports #ACTIV8afriend - a gentle 'nudge' every month to help get more women more ACTIVE! ACTIVE Cheshire & The Royal Society for Public Health are working closely to use diet and activity to build healthier communities. This video shows how local engagement through simple locations such as hair salons can form a hub to develop community public health knowledge. Legislation to enable local councils to set their own differential business rates to encourage healthier outlets and discourage those that are detrimental to health. ITN Productions & Royal Society for Public Health video featuring Active Cheshire. 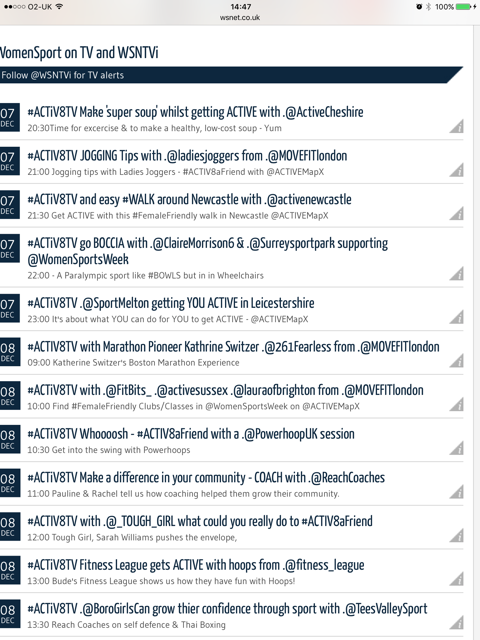 Most women only need a 'nudge' to get more active - so WSNet runs a monthly #ACTIV8afriend programme on social media. Why don’t you join us on the 'eighth' of each month and invite a friend, rellie or neighbour to join you at your class . . . or for a run. If you run a #FemaleFriendly class/club - offer a discount, voucher, BOGOF . . .or just a FREE session if people bring a friend. You get more folk joining your sessions - we get more women more ACTIVE. So why not join us? Keep the spirit of @WomenSportsWeek & #ThisGIRLCan alive #ACTIV8afriend - once a month on the 8th! More info HERE - and don't forget our FREE #FemaleFriendly activity-finder - ACTIVEMapX - HERE - 32,000 people are now listed - are you? Promote your video on #ACTIV8TV? 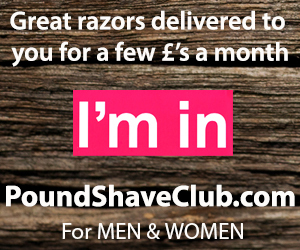 Send a link to jo.c@wsnet.co.uk with some info about your club/class. Welcome to Kimmyfitness. My world of my work combined with my life= mummy fitness. You will find lots of workout videos that you can safely do through out your pregnancy and post pregnancy too. There are step by step workout videos and short clips of workouts you can do. Please feel free to comment, share and subscribe! my mummyfitness@gmail.com All mummies are welcome. So why not join us? Keep the spirit of @WomenSportsWeek & #ThisGIRLCan alive #ACTIV8afriend once a month on the 8th! More info HERE - and don't forget our FREE #FemaleFriendly activity-finder - ACTIVEMapX - HERE - 32,000 people are now listed - are you? Here are 4 Post pregnancy core exercises with options. You can do these exercises before your 6 weeks post birth check to help start strengthening and rebuilding your core. After birth our core is very weak and requires specific training to help rebuild and repair in the correct way. These are 4 exercises that can help, however you need to be cautious and concentrate whilst doing them. Think about your breathe and engaging in your abdominals(which feels very different at this stage however you will feel and notice the change) PLEASE DO NOT ignore any abnormal pain! And do let your midwife know you have started core repair work! In the last two exercises feel free to place your foot down if you need too - then aim to keep your foot off the ground through the exercise. Balance work is so amazing for your tummy! WSNet has set up ACTiV8TV as part of the #ACTIV8afriend programme. Once a month we encourage women & girls to get ACTIVE together. #ACTIV8afriend is a 'roll out' of @WomenSportsWeek. A FREE, non-proprietary, community-programme designed to get more women, more ACTIVE and help clubs/classes get more members by making an 'offer' once a month to those who bring a friend. We run ACTiV8TVbetween 1st-8th of each month in the build up to the ACTIV8th of EVERY month. So many clubs and organisations have set up their own promotional videos. These have flowed out of programmes such as #LIKEaGIRL & #ThisGIRLCan. But how many of these videos get watched - often on YouTube but can’t be found. We search You Tube for suitable coaching/training or motivational videos and schedule them ever hour from the FIRST of the month until the ACTIV8th. There's a 'snapshot' below of recent 'broadcast' schedules. You can help us to help you get more women more ACTIVE by sending your training, diet or ACTIVE promotional video ready for 'broadcast' next month. WSNet doesn’t charge for this service but we do reserve the right to reject programmes without reason. Promote your video on #ACTIV8TV. Send a link to jo.c@wsnet.co.uk, your Twitter @Handle and some info about your club/class. Follow @WSN_TV on Twitter for exclusive alerts and links to every programme - watch on your smart device! Self defence with Thai Boxing has helped women in Teesside grow in confidence and become leaders in their community. Getting active, coaching and helping friends and neighbours makes a huge difference to their lives and those of friends and neighbours. Tees Valley Sport worked closely with groups of women who have suffered from domestic violence or just low confidence to prove that anyone can find an activity they enjoy. The video shows women from across Teesside exercising in ways that feel comfortable for them. 13:30 Australian Diamonds take a new look at role models - could be you! The Australian Diamonds and Samsung support #ACTIV8afriend - a gentle 'nudge' every month to help get more women more ACTIVE! As proud partners of netball, Samsung are challenging Australians to rethink who we hold up as inspirational role models by shining a light on our Diamonds. Across the board, girls & women have very few positive role models to aspire to, and yet there are so many inspiring examples amongst us. The Australian Diamonds, our World Champion national netball team, are testament to this. They embody qualities worth celebrating: talent, determination, resilience, loyalty, humility, and passion. Samsung want to challenge Australians to stop and think about how important positive role models are in shaping society for the better. And to help us elevate role models who represent brighter possibilities for tomorrow. Netball World Cup footage used with permission of the International Netball Federation. Most women only need a 'nudge' to get more active - so WSNet runs a monthly #ACTIV8afriend programme on social media. Why don’t you join us on the 'eighth' of each month and invite a friend, rellie or neighbour to join you at your class . . . or for a run. If you run a #FemaleFriendly class/club - offer a discount, voucher, BOGOF . . .or just a FREE session if people bring a friend. You get more folk joining your sessions - we get more women more ACTIVE - and have a fun time on social media tweeting about #ThisGirlCan - and it's FREE - we will RT many the best tweets/pix to our 45k community. So why not join us? Keep the spirit of @WomenSportsWeek & #ThisGIRLCan alive - #ACTIV8afriend once a month on the 8th! More info HERE - and don't forget our FREE #FemaleFriendly activity-finder - ACTIVEMapX - HERE - 32,000 people are now listed - are you? Tees Valley Sport’s aim is to inject new life into the This Girl Can campaign by ACTIV8ing a Coach, This is a fun video which shows you hpw easy and satificying it can be by getting into coaching #NETBALL as volunteers - and help to grow your community with ACTIV8aFriend. “We wanted to raise awareness in women’s sport and to encourage more women to go into coaching no matter what their size. Using #LikeAGirl as an insult is a hard knock against any adolescent girl. And since the rest of puberty's really no picnic either, it's easy to see what a huge impact it can have on a girl's self-confidence. We're kicking off an epic battle to make sure that girls everywhere keep their confidence throughout puberty and beyond, and making a start by showing them that doing it #LikeAGirl is an awesome thing. "In my work as a documentarian, I have witnessed the confidence crisis among girls and the negative impact of stereotypes first-hand," said Lauren Greenfield, filmmaker and director of the #LikeAGirl video. "When the words 'like a girl' are used to mean something bad, it is profoundly disempowering. I am proud to partner with Always to shed light on how this simple phrase can have a significant and long-lasting impact on girls and women. I am excited to be a part of the movement to redefine 'like a girl' into a positive affirmation." For the past 30 years, Always has been empowering girls globally, bringing puberty education to millions of adolescent girls. 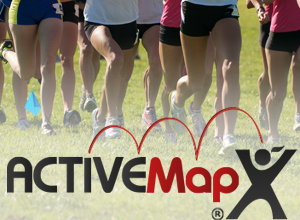 Search for sport and activities in your local area.